NOTICE: Activation key must be used on a valid Steam account, requires internet connection. ABOUT THE GAME	The game that re-defined the Zombie genre - fully remastered. Paradise meets Hell! Welcome to the Zombie Apocalypse experience of a lifetime – and now more beautiful than ever. Caught in the midst of an epic zombie outbreak on the tropical island of Banoi, your only thought is: Surviv… al! 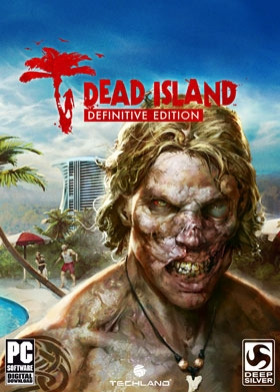 The Dead Island Experience Smash heads, crack skulls and slice ‘em up with visceral astounding melee combat and true story-based 4 player co-op in a sprawling open world just waiting for exploration. Including all previously released DLCKEY FEATURESFully remastered: Experience Dead Island in crisp full HD with Improved graphics, game models and a photorealistic lighting system with physically based shadingAdrenaline-Fuelled Combat: Smash heads, crack skulls and slice ‘em up with the weapon of your choice in the visceral astounding melee combatSeamless Coop Multiplayer: Collaborate with your friends, live through a story of the struggle for survival in a world gone madDiscover the Island:Explore the island paradise; from the deserted city, secluded beaches and vast highlands – discover the story behind the zombie outbreakExperience the atmosphere: Experience the dense atmosphere - feel the destruction, the horror and madness. Immerse yourself in the turmoil that is taking place on the Island. SYSTEM REQUIREMENTS Minimum: OS: Windows® 7 64-bit / Windows® 8 64-bit / Windows® 8.1 64-bit / Windows® 10 64-bit Processor: Intel® Core™ i5-2500 @3.3 GHz / AMD FX-8320 @3.5 GHz Memory: 4 GB RAM DDR3 Hard Drive: 20 GB free space Graphics: NVIDIA® GeForce® GTX 560 Ti / AMD Radeon™ HD 6870 (1GB VRAM) DirectX®: Version 11 Sound: DirectX® compatible Additional Notes: Laptop versions of graphics cards may work but are NOT officially supported. Windows-compatible keyboards, mouse, optional controller (Xbox 360 Controller for Windows recommended)Recommended: OS: Windows® 7 64-bit / Windows® 8 64-bit / Windows® 8.1 64-bit / Windows® 10 64-bit Processor: Intel® Core™ i5-4670K @3.4 GHz / AMD FX-8350 @4.0 GHz Memory: 8 GB RAM DDR3 Hard Drive: 20 GB free space Graphics: NVIDIA® GeForce® GTX 780 / AMD Radeon™ R9 290 (2GB VRAM) DirectX®: Version 11 Sound: DirectX® compatible Additional Notes: Laptop versions of graphics cards may work but are NOT officially supported. Windows-compatible keyboards, mouse, optional controller (Xbox 360 Controller for Windows recommended) © 2016 and published by Koch Media GmbH, Austria. Deep Silver is a division of Koch Media GmbH. Dead Island, Deep Silver and their respective logos are trademarks of Koch Media GmbH. Developed by TECHLAND Sp. z o.o. All other trademarks, logos and copyrights are property of their respective owners. All rights reserved.